Michael McGlynn, Composer & Artistic Director of ANÚNA. Born in Dublin, Ireland, in 1964. He came late to choral music, singing in his first choir at the age of nineteen. Despite the rich and sophisticated musical forms that lie at the centre of Irish traditional music, choral music does not exist as part of that tradition. His love of traditional song and the literary culture of his homeland led him to create the choral ensemble ANÚNA, Ireland's National Choir in 1987 as both a vehicle for his compositions and a unique choral form for Ireland. In 2018 he founded M’ANAM, a new vocal ensemble for male voices. In 2017 he was the recipient of the University College Dublin Alumni Award in the Arts/Humanities and was visiting Eminent Scholar at the Music Department of Florida Atlantic University (2011-2013). Michael's compositional language combines elements of modality with a contemporary sensibility. This is fused with chordal clusters and a distinctive melodic awareness influenced strongly by traditional Irish song (sean nós). Many of these elements can be heard in his “Agnus Dei” (2005), commissioned by Chanticleer and his short choral setting of the traditional text “Dúlamán” (1995). This piece fuses modality, alternating time signatures and medieval tonal colours in a unique fashion that is instantly recognisable as the work of McGlynn. Sung all over the world by amateur and professional ensembles, children and adults, it has in many ways defined an Irishness that has hitherto been elusive in the world of choral music. His choral work has been commissioned, recorded and performed by ensembles that include the BBC Singers, Rajaton, the National Youth Choir of Great Britain, Grammy-winning ensembles Conspirare and the Phoenix Chorale. Kansas City Chorale in 2019 have released a complete CD recording of his works entitled “Artifacts : The Music of Michael McGlynn”. Recent choral commissions include "Amhrán na Gaoithe" for Chanticleer and "O pia virgo" for New York Polyphony which appears on their Grammy Nominated CD "Sing Thee Nowell". He has written songs in many genres, collaborating with The Wiggles, Elvis Costello and with country music legend Rodney Crowell whose acclaimed 2017 album "Close Ties" includes a song written with Michael and features Crowell duetting with Sheryl Crow. "Takahime" Tokyo 2017. Directed by Umewaka & M. McGlynn. In February 2017 Michael directed, and composed a full choral score for the Noh Theatre/ANÚNA collaborative performance of W.B. Yeats' play "At the Hawk's Well" entitled "Takahime" at Orchard Hall, Tokyo in collaboration with Gensho Umewaka, Japanese National Treasure. He worked as composer and musical director on the Gate Theatre/Royal Court presentation of Chekov's “Three Sisters” which featured the legendary Cusack family and was directed by Adrian Noble. He has produced and recorded seventeen albums for ANÚNA. ANÚNA (1993), Celtic Origins (2007) and Christmas Memories (2008) have featured in the US Billboard Charts. Deep Dead Blue (1999) was nominated for a Classical Brit Award and went top five in the UK Classical Charts. Michael's unique vision for the development of choral music has resulted in the hugely successful Anúna Education and Outreach programme. He has led workshops, seminars and lectured on his music and the ANÚNA Methodology of choral performance all over the world including at the Shanghai Conservatory of Music and in March 2015 was invited to present a session dedicated to his work at the American Choral Directors Association National Conference in Salt Lake, Utah. He founded and stewards the highly successful ANÚNA International Choral Summer School in Dublin, Ireland each June. Michael has acted as Chairman of the Jury at the International Early Music Vocal Competition Canticum Gaudium in Poznan, Poland. He has been an adjudicator at the Tampere Choral Festival (Finland) and the Tolosa Choral Festival (The Basque, Spain). In 2010 he was a guest-judge and vocal advisor for Finland's X Factor. 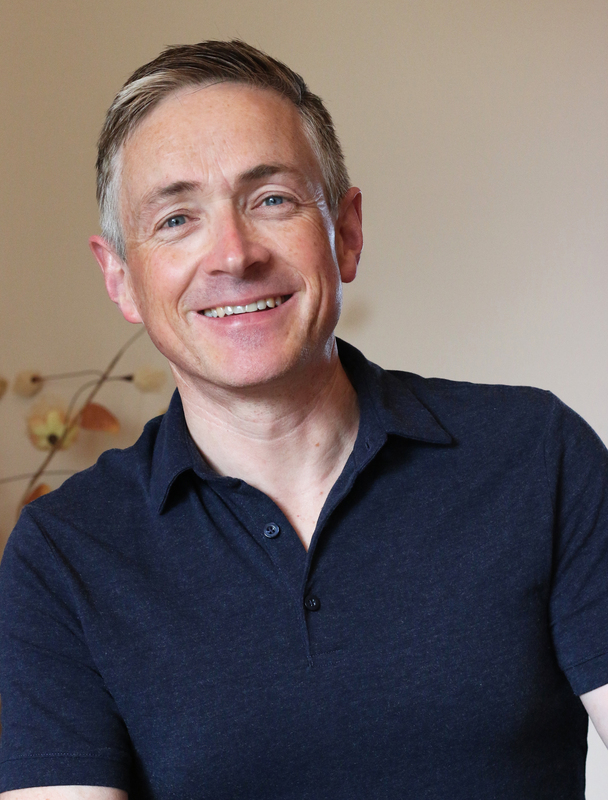 As a tenor soloist he has specialised in early music repertoire, but has also featured on a number-one single in Ireland duetting with Jerry Fish on the track "True Friends". He is an enthusiastic film-maker with his feature-length Invocations of Ireland released on DVD in Australia [DV1] and Japan [Columbia], and broadcast across Australia and New Zealand on the Ovation Channel. He lives in Dublin with his family and is an ardent year-round sea swimmer with a hint of surfing.